When you arrive in Sewanee you drive through the old stone gates where a sign ominously informs you that you are entering “The Domain of the University of the South.” Legend has it that when you leave the gates a Sewanee angel watches over you until your return. I have certainly found my angels in Sewanee and they have given me protection these past fives years. Located on the Cumberland Plateau in southeastern Tennessee, Sewanee is a small private liberal arts collect governed by the Episcopal Church. 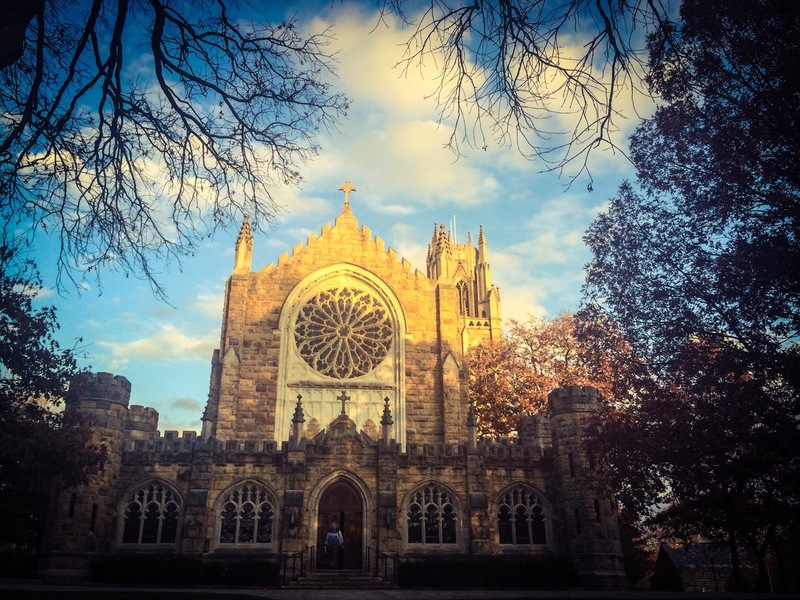 Affectionately called the Hogwarts of the South, the school is modeled after Cambridge in both its architecture and love of tradition: all of the buildings are made of stone and professors wear gowns to teach. The fog, which has often been written about, creates a mystical feel. Home of the Sewanee Review, the oldest continuous literary journal in the country, Sewanee is steeped in literary tradition. Thanks to the generous support of the Tennessee Williams endowment, the quaint hamlet is also home to the Sewanee Writers’ Conference each summer. It was a fellowship as the Tennessee Williams Playwright-in-Residence which brought me to Sewanee five years ago. The fellowship was truly a gift; Sewanee arrived in my life when I needed it most. Here I have had the time and space to write, while also being given a livable wage, housing, and access to health insurance: basic necessities that artists rarely have. It’s also allowed me to be the writer I want to be while also being the parent I hope to be. When I moved to New York I found my tribe for the first time; in Sewanee I built my village. One thing I have learned from being a parent is that children can create instant community. The people I met when we first arrived were also parents, and we were bound by our desire to be good parents while balancing our work life. In Sewanee parenthood has given me membership into a club of compatriots who understand the frustration, exhaustion, and satisfaction that comes with being a parent. There are other friends who don’t have children. They play an important role as well: they provide me a much-needed escape from parenthood. When you live on a college campus people who love to learn surround you. It’s one of the things I love most about the community; I am surrounded by smart people. Sarah, Betsy, Shelley, Megan, and April are all smart people in ways that don't feel intimidating (well, maybe a little), but inspiring. Among the group there are two college professors, an English teacher, an Episcopal priest, and the coordinator of the prestigious Sewanee Writers’ Conference. When you don’t have living parents or siblings you learn to build community. Each of these women, along with numerous others in the community, would take my child in an emergency. They have provided my daughter with play dates while I grade, kept her overnight while I’ve rehearsed a play or attended an event. They have engaged in late night texting sessions when I needed to vent about the frustrations of parenthood, and they ask about my grandmother and what I’m writing. They are invested in my success as a writer, a parent, and a professor. And when I see them they always ask, “How are you?” That might seem basic, but they ask how I’m doing and really listen to the response. When you’re a single parent that doesn’t always happen. Instead of lunch, we steal away for a drink at the Sewanee Inn. Sitting by the fireplace, we cozy up on the overstuffed couches and share stories about our children’s latest quirks, challenges at work, and plans for spring break. We talk about the changes in our bodies as they grow older, aging parents, and the logistics of daily life. And there’s laughter, lots and lots of laughter. This mighty group of women reminds me of the things we should all look for in friends. They never make me feel self-conscious about who I am as a parent. They love me in yoga pants and no makeup. They know that my daughter loves frogs and turtles and won’t eat vegetables unless they are raw. They’ve all seen me cry and they’ve celebrated my victories. And they have taught me how important it is to have people in your life who have seen your child at their worst - and perhaps even a glimpse of your parenting at its worse - and rather than judgment offer understanding. When I turned 40 they planned a surprise party for me and gathered all of the people who have helped define my experience here in Sewanee. It was a lovely act of friendship. I’m not sure how much longer we will remain in Sewanee; uncertainty looms. But if this chapter is coming to an end I can leave knowing that Sewanee has served me well. Sewanee have given me a place to call home, an opportunity to write, to discover my love of teaching, and the resources to grow as both. The community has reaffirmed the old adage that it takes a village to raise a child and that we all have a chance to build family wherever we go. 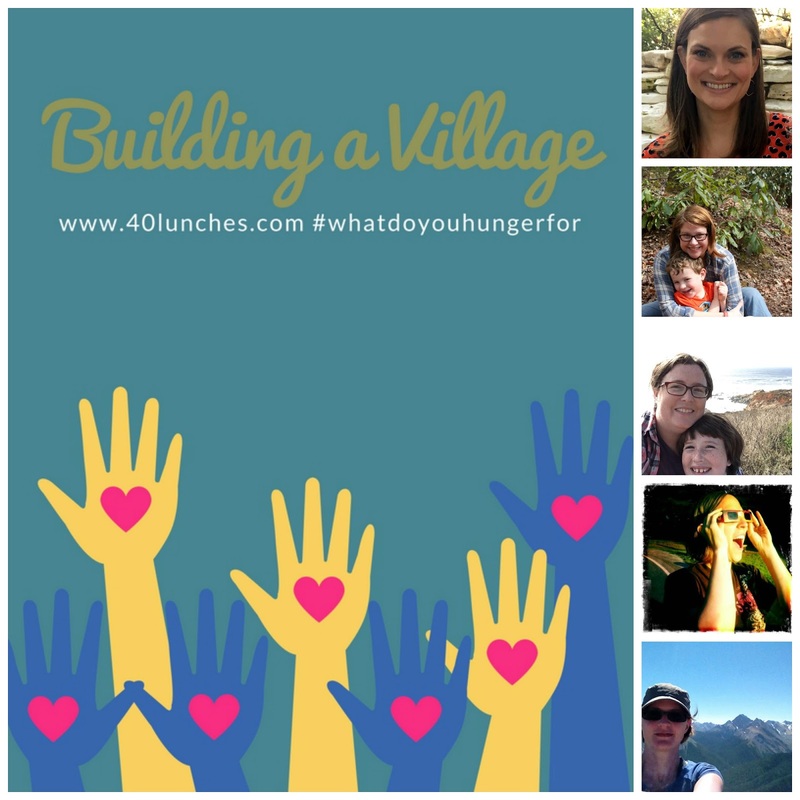 Have you enjoyed 40 Lunches? Like 40 Lunches on Facebook and Twitter. There is nothing like a group that serves as your village (or tribe!). :) Glad you have one!